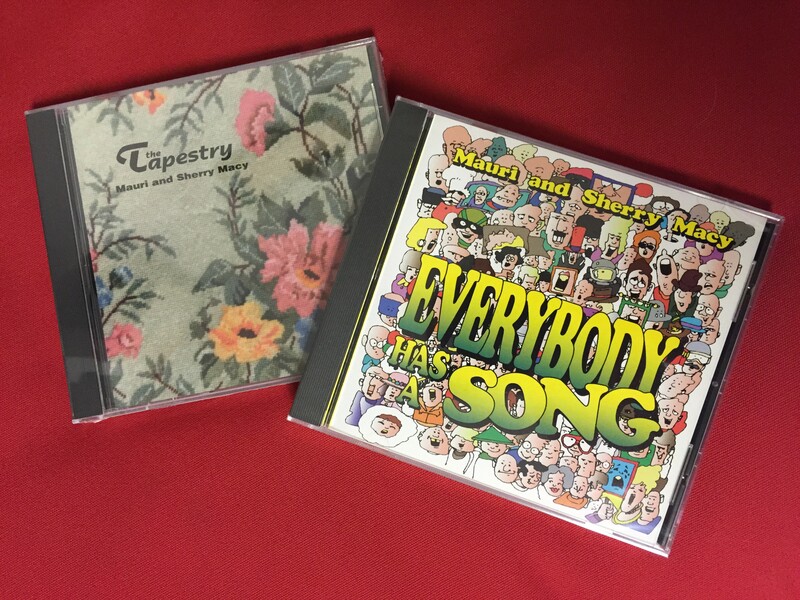 We have produced two CDs — “The Tapestry” and “Everybody Has a Song.” They are old now, but the songs are timeless. While the supply lasts, we are happy to give them away if you will pay the cost of mailing. $4 for one; $6 for both. You can easily place an order by contacting Mauri or Sherry. Oh my, what a blessing. I just spent a few moments singing along with some of this (and remake of I’d Rather Be Me). Thanks for providing it. Just what my soul needed. I love you both. The light and life of Christ shines through you and touches me. Won’t it be fun to sing and worship together for eternity without the constraints of time and space? I wonder if I can be a high tenor in heaven? Just to be there and sing baritone will be good enough for me. I heard you sing when I was a student at GF between 1978 and 1982. You sang a song about a moth being drawn to the flame and another with the words, “wear the world loosely as a garment to be discarded,” or something like that. Or maybe they were the same song? I think it was two songs — it was 30 years ago! Anyway, do you have those songs on a CD? Bits and pieces stuck with me all these years and I’d love to hear them again.